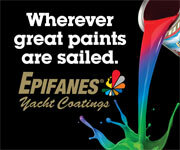 Restoration and maintenance for your classic wooden boat! The Lyman is getting her forward cabin painted and main cabin varnished plus some bottom maintenance. We’re boring the shaftlogs on the Aquarama and setting PVC liners in 3M 5200 plus replacing the packing on the shafts and rudders with graphite packing. Repairing soft spots in the stringers on a Chris Craft Continental along with stripping and refinishing the transom to rid her of her old name for her new owner. A punch-list on a Century Resorter. Finish work on a Riva Tritone. Engine work on a Chris Craft Semi-enclosed. Summer projects include rolling a 1948 Chris Craft Deluxe and installing a new bottom among others! Here is a downloadable copy of our storage contract.